The Mail Online, which the Daily Mail’s legendarily foul mouthed editor wants his readers to know is a totally different entity to his paper and its Sunday stablemate, has been indulging in a routine hit job, “exposing” the man behind the left-leaning blog Skwawkbox. The site’s so-called “Associate Global Editor” Jake Wallis Simons, considered by some to be a journalist, has authored the hit piece, for which he may be thrown a biscuit. But what is the point of this exercise, other than to tell its target that the Mail knows who he is, probably knows where he lives, may well know a significant amount of information about his immediate family members, and we should not ask too many questions about how the inmates of the Northcliffe House bunker came by any of it? In any case, let’s stat at the very beginning, as it’s a very good place to start. “Revealed: Far left blogger behind 'fake news' story that government is gagging media over true scale of Grenfell deaths is corporate boss who sells services to the NHS” is the headline. 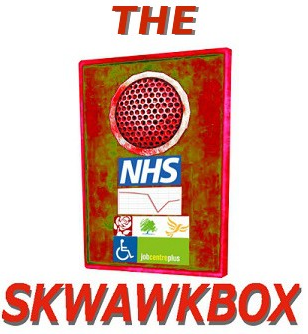 What relevance does their target’s status have to the work Skwawkbox performs? None at all. Mail Online readers are told that their target “is a successful corporate CEO”. Is that some kind of crime? Aren’t those the kinds of people the Mail likes to champion? Ah, but we are also told “Comes as BBC blasted for inviting 'alt-left' blogger and editor to Question Time”. 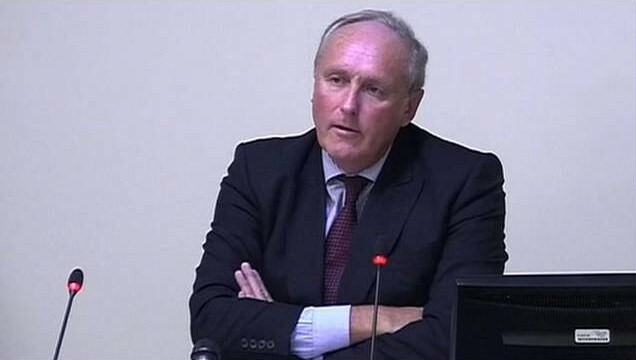 What relevance does Skwawkbox, and this story, have to the editor of The Canary being invited on to a Question Time panel? None at all. Unless, of course, Mail Online thinks it OK to kick Dacre, Geordie Greig or Martin Clarke because the Beeb asks Fraser Nelson or Tom Newton Dunn to do some punditry for it. There is no relevance to this association at all. Moreover, there is no relevance in saying of their target “In 2015, he joined forces with two other entrepreneurs and invested £400,000 in high tech equipment to set up the company [he runs]”. None at all. Although one could ask when anyone from the Daily Mail or Mail Online ponied up £400k to help get a business off the ground, a question to which the answer would most likely be that none of them ever did. But what of that “fake news” claim? Ah well. When Wallis Symonds tells “Skwawkbox is noted for running stories that seem to have been briefed by Corbyn's inner circle, including insider quotes that suggest links with to senior Labour members”, he has to use “seem to” and “suggest”, because he doesn’t know. But, as Zelo Street has told, because here we do know, “Skwawkbox has NEVER had any contact with Jeremy Corbyn’s office”. To try and pretend otherwise is, sad to say, getting extremely adjacent to Fake News, something with which the Dacre doggies are all too familiar. They lied about Byline Media, they lied about Andy Miller, they lied about countless Slebs to whom they had to pay damages and costs, and they commission copy from Fake News pushers at Breitbart. The Mail and Mail Online have no room to call “Fake News” on anyone. They have no reason to run this story, other than to monster and threaten their target. Worse, their hacks and their cheerleaders would scream blue murder if anyone else did it to them. Jake Wallis Simons is the lowest kind of hypocrite. So no surprise there, then. So what about when he claimed that there was a d notice over Grenfell? So what about when the Mail claimed all those things that were untrue? @1 He claimed there were allegations of a d-notice. Big difference. Also something the Mail is fond of doing... fronting a story on allegations all wrapped up in a 'single quote of lies' headline that doesn't match the content. Although again - the original story on SKW was about allegations that had been made with no intent to deceive; unlike the Daily Heil's usual modus operadi of deliberately misleading articles that are factually incorrect full of allusion to things not actually substantiated. For the Mail to scream "fake news" and in effect do a newspaper version of an alt-reich doxing is very low, very low indeed. Also the author seems to imply that being friends on facebook means that you actually know the "friend" personally. Errrr hello, I know Corbyn and about 100 other people I've never in my life met or spoken to (although I have been to a Corbyn rally when he was challenged for the leadership). I can't work out if the intention of that passage was to have a dig at facebook (which the Daily Heil hates, because they cannibalise the Daily Heil's advertising revenue) or if the author was actually clueless enough to think that liking someone was tantamount to personally knowing them. To be honest I'm leaning towards the latter due to the fact that he was annoyed at my replying to his tweet because it made his phone buzz. Seriously he hadn't worked out how to mute a twitter conversation. What a clueless dumb arse. He clearly all but implied there was one. Oh and Tim he isn't just a CEO of any old company, he's the CEO that is making money out of the NHS, all the while he's attacking the privatisation of the NHS. What he is making out of the NHS, as will be revealed later, is not what the Mail would have us think. Taking the Mail as fact is never a good idea. Taking the Mail in ANYTHING is a bad idea. Arron Banks - What Wealth?